THIS IS A CUSTOM ORDER BRACELET AND CANNOT BE RETURNED. IF WRONG SIZE IS ORDERED IT WILL HAVE TO BE REMADE AND WILL INCUR EXTRA CHARGES. 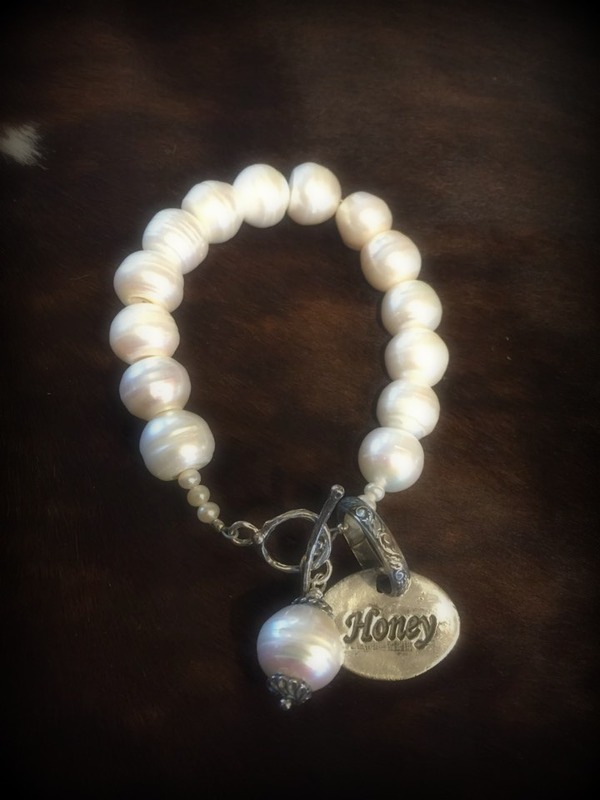 Large freshwater pearl bracelet accented with name charm, pearl bobble and toggle. All findings (such as pearl caps, toggle and charm) are sterling silver. Choose the word you want and add it to your cart for a very special and personalized piece you wil treasure for years to come!